Wearing: White Lily Red Rose cape &Vintage necklace. 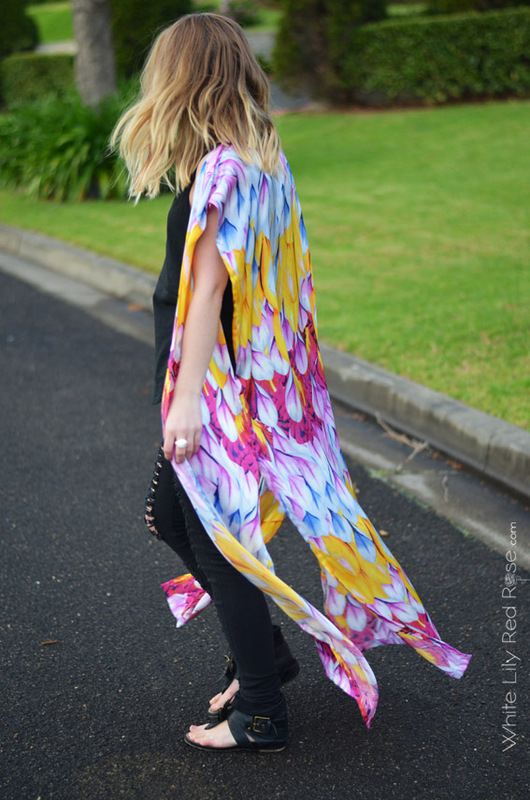 This feather print maxi cape will definitely add colour and life into any outfit. 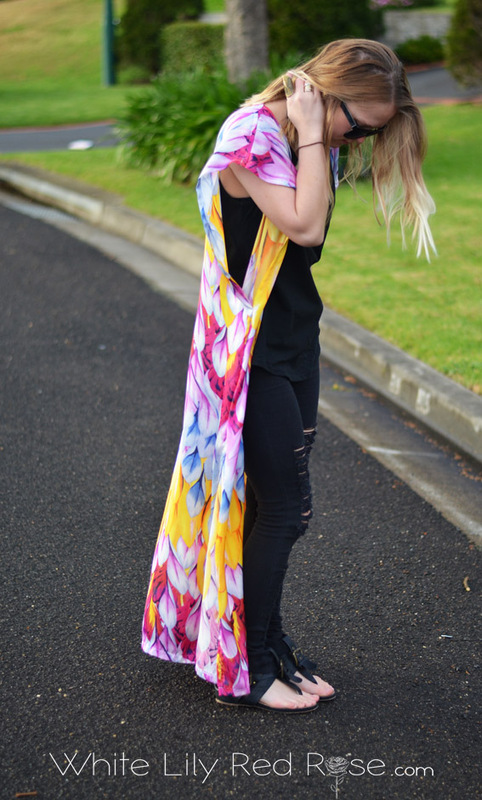 I've found myself wearing alot of black this winter and love these statement pieces that add a bit of colour! 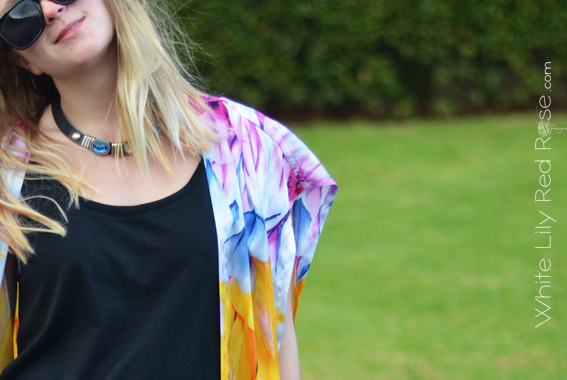 I fell in love with this fabric immediately when I saw it! 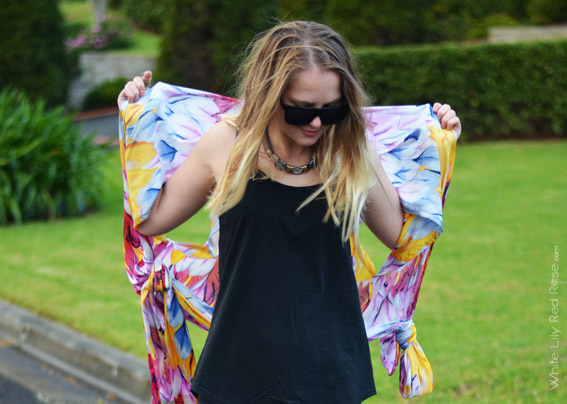 It is available in this Maxi Cape & Pants! Online store up next week! wow!i love every thing!beautiful pictures!i really love your blog!following each other via gfc/bloglovin? 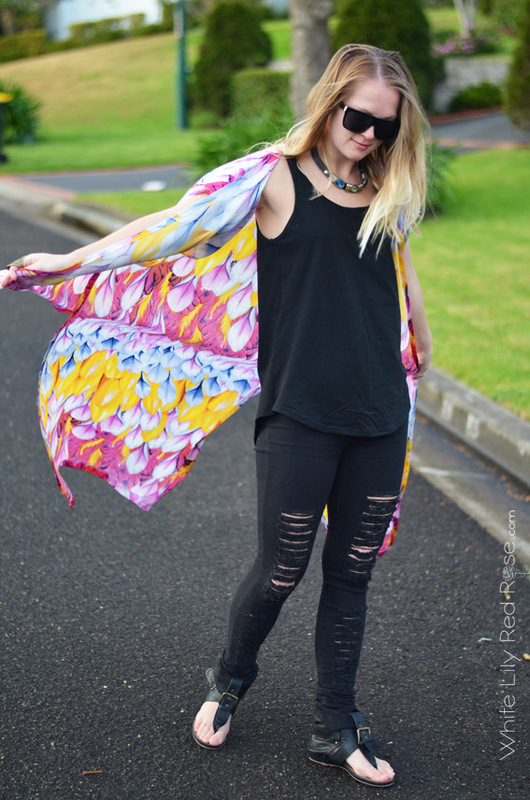 loving the colours of ure maxi cape,, great print and tht gold ring is wow!! that cape is soooo pretty! the colors stand out and looks amazing!